After an introduction to the significance of mental health in elite sports, elite athletes and coaches will talk about their experiences with mental health. 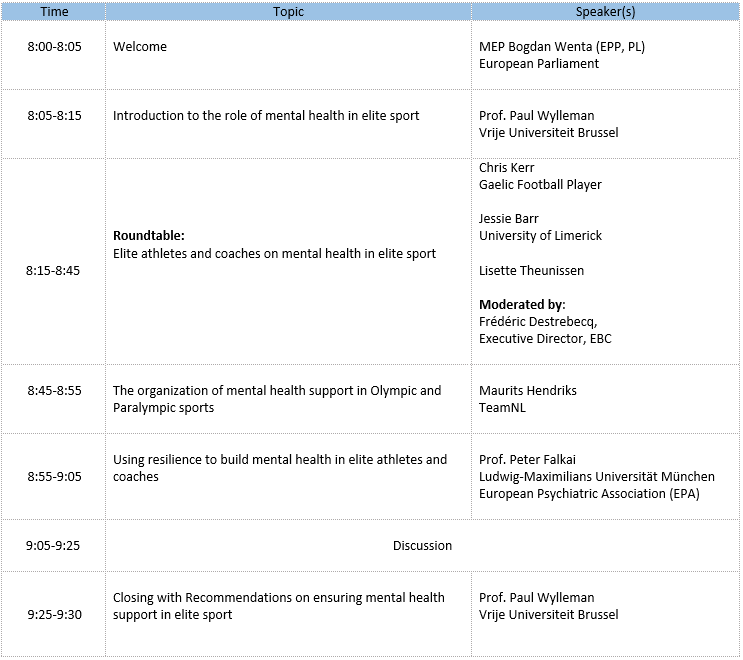 This will be followed by presentations on providing mental health support in elite sport. The meeting will conclude with specific recommendations on the policy measures and support services aimed at ensuring the mental well being of talented, elite and retired athletes and coaches. The 90-minutes program can be found below. 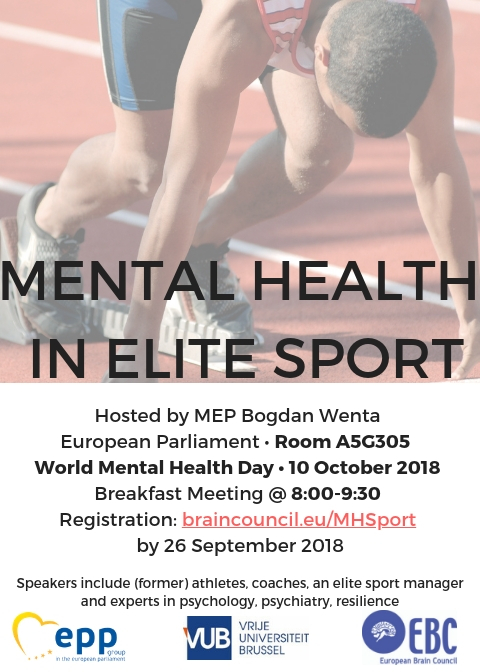 This meeting has been put together with the Vrije Universiteit Brussel in conference with MEP Bogdan Wenta, member of the European Parliament’s Sport Intergroup, TeamNL, European Federation of Psychology Associations, European Federation of Sport Psychology, Fédération Internationale des Associations de Footballeurs Professionnels and EU Athletes.